WASHINGTON — Tekever, a Portugal-based company with business interests ranging from clean energy to defense and logistics, is pulling together a team of domestic companies and organizations to build the first made-in-Portugal satellite. That small satellite, called Infante, is a precursor to a constellation of 12 spacecraft in low-Earth orbit for remote sensing and telecommunications services. The team’s current plan is for Infante to be a 16U cubesat with a mass of 25 kilograms. 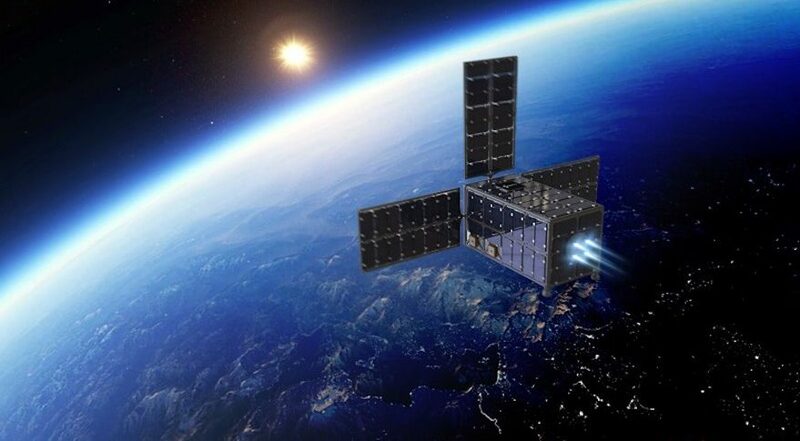 “The new microsatellite constellation will complement existing assets, both satellites, such as the Sentinels, and in-situ ones such as drones, in order to substantially enhance Earth observation and communications services, primarily targeted at maritime applications and early warning for fast developing events,” Pedro Sinogas, Tekever’s chief executive, told SpaceNews. Tekever is leading a consortium of Portuguese companies including solar panel producer Active Space Technologies, propulsion expert Omnidea and the Portuguese division of Spain’s GMV for payload management. Tekever, in emailed responses to SpaceNews questions, said the company and its partners have allocated 9 million euros ($10.5 million) for Infante, with some of that coming from Portugal 2020, a research and innovation program of Portugal and the European Commission. The company declined to break out how much is coming from individual sources. Tekever said Infante will carry multiple payloads, including a multispectral camera, synthetic aperture radar, automatic identification system (AIS) for tracking ships and Automatic dependent surveillance – broadcast (ADS-B) for tracking aircraft. The satellite will also have room for science and technology experiments. Tekever hopes to launch the satellite in 2020. The constellation of 12 will carry the same observation and telecom payloads as Infante, but with different payloads on different satellites, the company said. Infante has a design life of four years. Portuguese and international users have agreed to participate in the demonstration, Tekever said, including the Portuguese Maritime Authority, the Chinese Academy of Sciences and the Instituto Federal Fluminense in Brazil. The Tekever consortium has yet to pick a launch provider for the satellite, but said three different rockets are currently under consideration.